Are YOU satisfied TODAY, with the position of women in the Church? 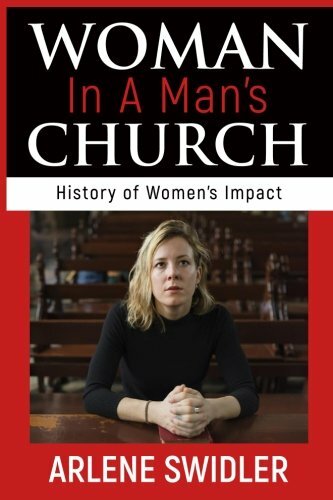 Buy this book and pick up the torch of Arlene’s lifetime mission—to see, know and feel women as equals in the Church and in today’s society. Her work was pivotal in validating both the rights of women in the church and beyond. In the 1960s, Arlene stood amidst a small handful of women challenging the status quo on women’s rights in the Church culture. And, when we say a small handful, we mean it. Joan of Arc would have been proud of Arlene Swidler. Arlene spoke to women’s rights in the Church by creating the pathways and the language for women yet to be born to discuss and transform the Dialogue on Women’s Rights. Fighting fearlessly for women’s rights and their position as influencers, Arlene took up the challenge of changing the rigidly narrow male church. Throughout this book and in her many articles, she wrote statements and inquiries women had never dared to say. Her words still serve us well today. While the Catholic Church and others have changed, we still find legacies of sexism prevalent around us. Please carry on her vision. Arlene was dedicated to her vision. Altogether, she published 75 articles, 26 book reviews, 7 book translations of German to English, authored or edited 13 books, edited a magazine called “Word”, and the “Journal of Ecumenical Studies”, and taught at nine different universities in the U.S., Europe, and Asia. Most of her work centered on women’s rights in the Church. Introductions by Arlene’s husband, Dr. Leonard Swidler and her sister-in-law Sandi Billingslea Swidler offer insight into the woman and her personal and academic background. Dr. Swidler and Arlene were the founders and publishers of the Journal of Ecumenical Studies in which many of her articles on women’s rights in the Church appeared. She also regularly contributed, as did her husband, to the National Catholic Reporter and Commonweal, the premier American Catholic periodical on public affairs. The early onslaught of Alzheimer’s at age 63 cut short the positive impact and flow she brought to the cause of women rising in influence in the Church. iPUB Global Connection has published many of Dr. Swidler’s books including a series written for his granddaughter to help her understand the basics of world religions and their impact on humanity’s grasp of the meaning of life. To learn more, see the “Letters to Will” book series and the Little Big Books. One can see the impact of Arlene’s values in all of Dr. Swidler’s works. Her legacy continues through him, her children and everyone she influenced.